Due to recent requests, we have extended the deadline for proposals for the 2017 MHA conference to be held in the St. Louis, Missouri metro area, to 1 November 2016. Please see the Call for Papers HERE for additional information. We will still send notification of acceptance or rejection by 15 December 2016. Matthew J. 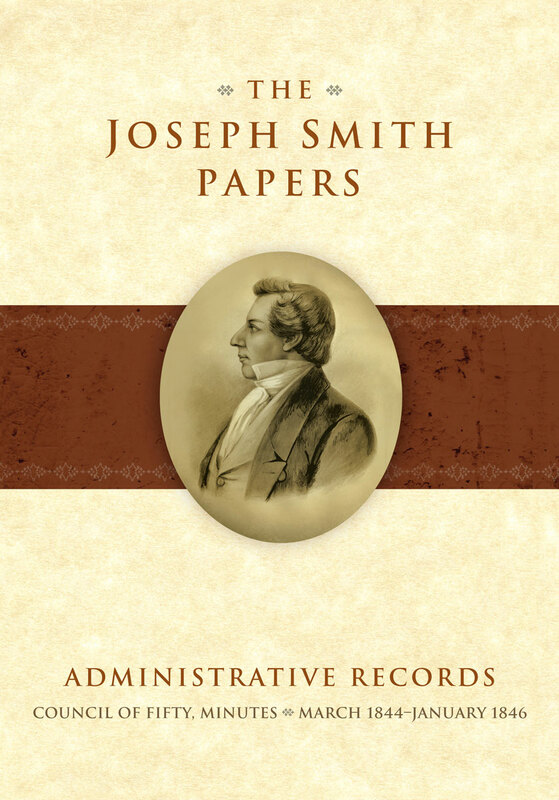 Grow, Ronald K. Esplin, Mark Ashurst-McGee, Gerrit J. Dirkmaat, and Jeffrey D. Mahas, eds., The Joseph Smith Papers, Administrative Records, Council of Fifty, Minutes, March 1844–January 1846, Ronald K. Esplin, Matthew J. Grow, Matthew C. Godfrey, general eds. Salt Lake City: The Church Historian’s Press, 2016. Hardcover. 734 pp. $59.95. ISBN 978-1-62972-242-9. 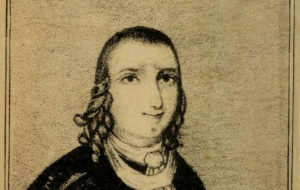 As part of a discussion on the gospel topics essay on Women, Temple and Priesthood, I looked briefly at Emma Smith as an “Elect Lady” who was to be “ordained” by Joseph Smith to expound and exhort (D&C 25:7). I’ve since looked a bit more of the idea of an Elect Lady in the 18th and 19th centuries, in particular two other “Elect Ladies” in American religion who preceded Emma. 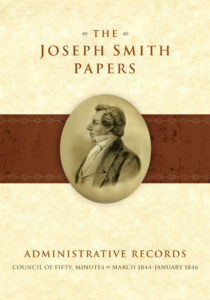 Their religious movements shared a number of curious parallels to Joseph Smith and Mormonism which would emerge five decades after their establishment. I have a guest post at the Maxwell Institute blog on my participation in the Mormon Theology Seminar earlier this year, here. The MI blog is not open for comments, so feel free to comment here. We all use labels whether for self-identification or to identify others. 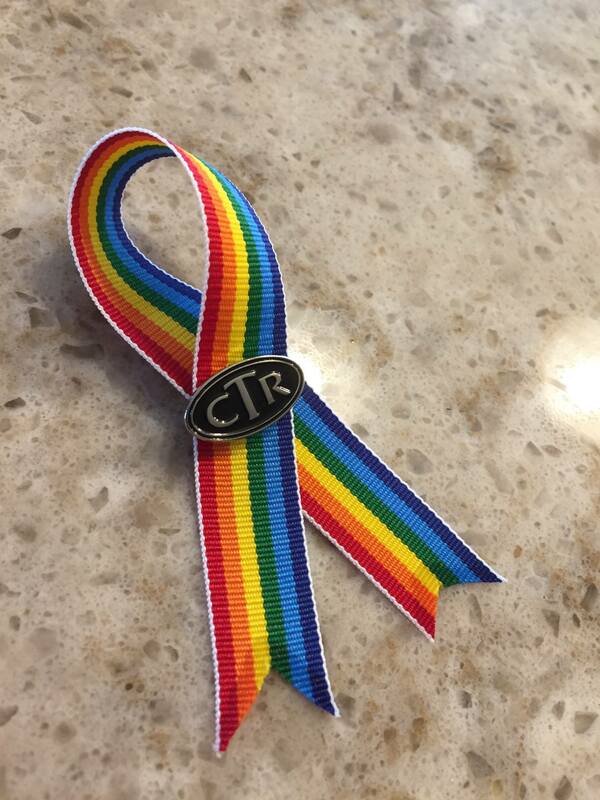 All too often, labeling others is used as a method of marginalization. However, this is not always the case. Labels can also be used to empower. For example, we label others as heroes, not with the intent of denigrating but rather, perhaps, in recognition of rare acts of bravery and selflessness. 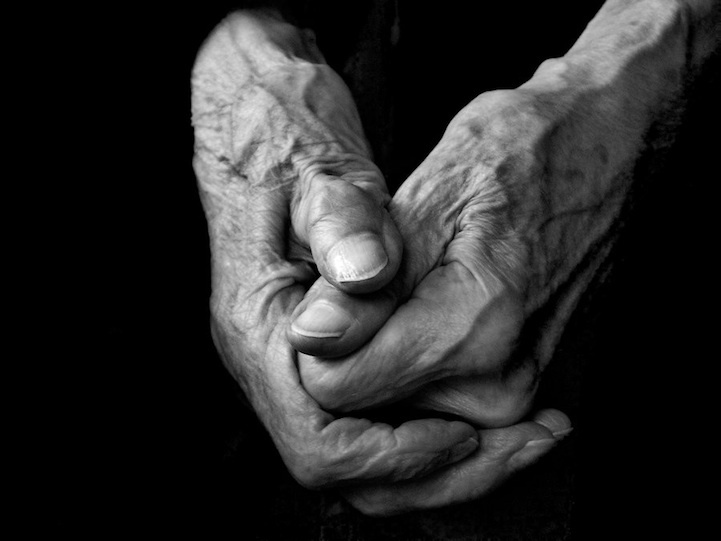 For the majority of her life, my mother felt different from her sibling and peers. By a few, she was simply called dumb or annoying. This negatively affected her self-esteem and sense of worth. It wasn’t until her adult years that she was finally diagnosed as having a learning disability. This label gave her a tool by which she could understand and ultimately accept her differences. Labels can be helpful. But labels also carry with them a certain expectation of shared experiences. Among many Mormons (particularly those engaged in social media) the term “faith transitioning” has become a common label for those whose faith and comfort with the Church has been somehow disrupted. 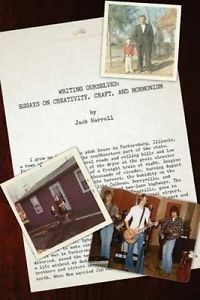 Review of Jack Harrell, Writing Ourselves: Essays on Creativity, Craft, and Mormonism (Salt Lake City: Greg Kofford Books, 2016). In Postponing Heaven Hatem focuses on the eschatological and soteriological roles of both the Three Nephites in Mormon theology and Bodhisattvas in Mahayana Buddhism. Hatem discusses the supernatural aspects of the Three Nephites who have had their lives preserved and extended in order to bring Christian salvation to others. 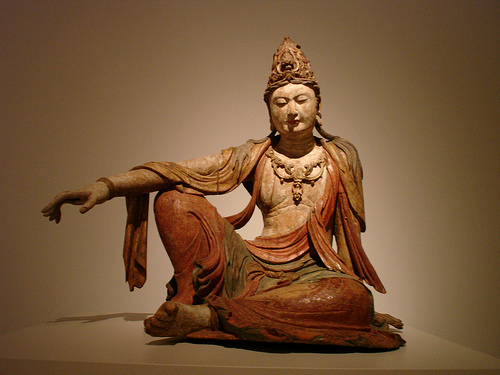 Similarly, Bodhisattvas have willfully delayed passing into Nirvana, becoming Buddhas, in order to assist other sentient beings obtain enlightenment or awakening and as such, have become god-like with abilities to both observe and intervene in human affairs. This form of human messianicity has two primary characteristics. First, human beings knowingly and willfully extend their connection to and involvement with this world despite their qualification for transcendence. Second, these human messiahs are either gifted or granted supernatural power or obtain it by virtue of their own merit. They do so in order to act as emissaries of something greater than themselves. This story usually has sister missionaries knocking on the door of a serial killer not realizing the danger they are in. They speak to the man for a few minutes, trying to convince him to let them in to speak more about the Book of Mormon. He is very short with them and turns them away. I have been a participant at the Third Annual Mormon Theology Seminar at Graduate Theological Union in Berkeley for the past week, and it has been a refreshing experience so far. 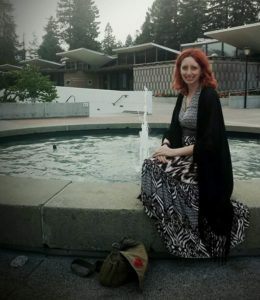 After spending the past several years straightening things out in my personal life, I feel blessed to have finally made my return to Mormon studies, finishing my master’s thesis on Mormon women’s exaltation in the past few months (and, subsequently, my MA in American religious history) and then capping it off with my participation here in Berkeley. I was surprised (and, admittedly, a little flattered) to learn that, though I am not the first never-Mormon to apply for the seminar, I am the first to be admitted to it. Yet my participation here has led me to a bit of navel-gazing. Getting Latter-day Saints to experiment with new ways of looking at the Book of Mormon texts and test new theological ideas is one of the key aims of the Seminar. What room is there, then, for someone who believes in neither the authority of the Book of Mormon text nor the prophetic calling of Joseph Smith to “do” Mormon theology in any meaningful sense? It is no secret to me from my history of participation around the Bloggernacle that some Mormons are clannish and innately suspicious of outsiders because of who we are, not what we say. I stopped participating around the ‘nacle for many reasons, one of them being that I was tired of Mormon bloggers and Mormon commentators suggesting that I had no business being a part of the conversation, even though I am a graduate of Brigham Young University and was (at the time) married to a Mormon with progeny attending the Mormon church. I personally cannot imagine disinviting the non-Christian spouse of an Evangelical Covenant Church member from any conversation about denominational polity or culture—it is obvious to me why such a person would have a vested interest, especially if s/he was also a graduate of North Park University—yet such was the reality I was dealing with on all too regular a basis in regards to Mormon blogs. Having to repeatedly justify one’s right to even have a place at the table gets old fast, so I drifted away.